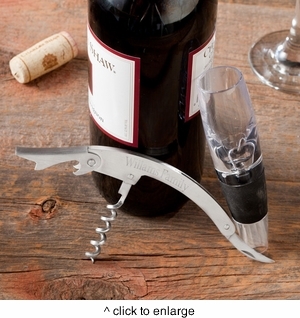 DETAILS: Our wine aerator and personalized bottle opener are a handy and useful gift. The aerator is acrylic and the opener is stainless steel. Personalized with 1 line up to 15 characters.